Osterloh: "There was a fundamental dispute between works council and the brand chief. That's history." FRANKFURT -- Volkswagen Group's powerful labor chief, Bernd Osterloh, said a dispute with VW brand boss Herbert Diess over how to implement reforms at the automaker's core brand, has been laid to rest. A truce between Diess and Osterloh would mark an end to months of infighting at the automaker, which is struggling to regain its footing after the damaging diesel-emissions scandal. In recent months, talks with management over how to implement a turnaround plan were broken off by the company's labor leaders, who control nine out of 20 seats on VW Group's supervisory board, leaving in limbo a deal on cost-cutting. "There was a fundamental dispute between works council and the brand chief. That's history," Osterloh told German newspaper Handelsblatt. "All participants now have the goal to enter calmer waters." Osterloh said the company's core brand could implement a 3.7 billion euros ($4 billion) savings program by working together with Diess, in what amounts to a marked change of tone for the labor chief. "Herbert Diess is a good technician who has mastered purchasing, development and production. I have always said we have a lot in common and analyze many topics in a similar manner. Now we have consensus that we want to do this together, management, IG Metall and the works council," Osterloh said. VW already has around 2,000 fewer staff than at the beginning of 2015, in line with a staff attrition plan, Osterloh said. In addition to VW overhaul plans agreed upon in November 2016, there are ideas to hike efficiency by a further 10 million euros, he said. And by implementing VW's current turnaround proposals VW has saved 40 million euros more than planned, he told the paper. 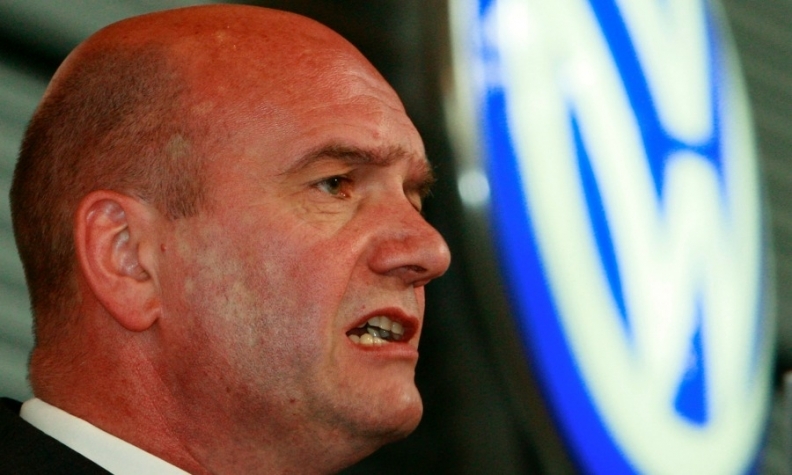 Osterloh also said he continued to see VW Group's supervisory board backing Audi CEO Rupert Stadler even after prosecutors stepped up an investigation of the premium brand's role in the diesel-cheating scandal.